The most educational business technology blog for Southern California executives, featuring insider tips, articles, and videos on how to get the best IT results. “It seems like every time I turn around, I have to write another huge check for IT.” Have you ever said that? While technology costs cannot be eliminated, unexpected IT-related expenses can be minimized. With the right technology planning and budgeting process, you should have a clear idea of what your IT spending will look like for the next few years. What Are Some Things to Consider When Budgeting for IT? In today’s digital business world, it’s rare to find tasks that don’t require the use of a computer, tablet, or smartphone. This means that delighting your clients and keeping your employees productive depends heavily on the efficiency and competency of your company’s Information Technology department processes, whether it’s internally staffed or outsourced to a third party. Optimize your business's IT function, understand proper - and cost effective - IT staffing, and learn from the mistakes others have made. When most people think about disasters, images of large-scale natural disasters generally come to mind such as fires, floods and earthquakes. What most businesses do not think about is how they will recover from smaller-scale disasters. Looking For a Managed IT Services Price List? If you are looking for a managed IT services price list, we might assume that you either know that you need to make a change in how you’re resourcing IT support or you’re wondering if you should be making a change. Either way, frustrations with IT are probably the catalyst for your research. If you’re like a lot of business owners and executives, you’ve lived with your IT problems for longer than you need to because you aren’t sure if there is anything better out there. Want to make sure your smartphones, tablets, and other mobile devices are as secure as possible? Check out this 90-second video tip from Chris, one of Accent’s vCIOs, with 3 tips to secure your mobile devices. Getting an IT Support Quote: What Does An IT Outsourcing Quote Involve? How Are Most Companies Handling IT Support? 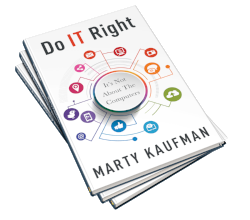 If you employ between 20 and 500 employees in today’s competitive marketplace, you recognize that your IT department is not what it used to be. A seasoned staff, legacy equipment, and yesterday’s processes will no longer support your business into the next generation. Benefits and Advantages of IT Outsourcing: Why Would A Business Outsource Their IT Support? When someone starts exploring the idea of IT department outsourcing, they generally want to figure out why they would outsource your IT support, what IT services can be outsourced, and the advantages of outsourcing IT technical support. 2018 Southern California Managed IT Services Cost & Pricing Guide: How Much Does Managed IT Services Cost? Note: The costs below are typical prices you can expect to pay for managed IT services in the Greater Los Angeles, Orange County, and Inland Empire areas. In today’s world, there are almost no companies that can function without Information Technology (IT). From sole proprietorships to Fortune 500s, EVERY successful business requires the right IT system implementation and management to truly thrive.